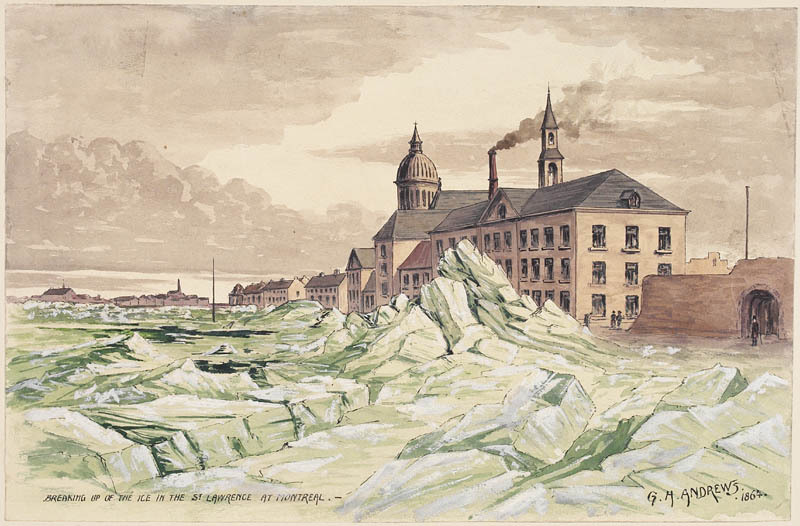 Throughout the mid to late 1800s, the Port of Montreal saw countless changes and improvements, starting in 1830 with the establishment of the first Harbour Commission. 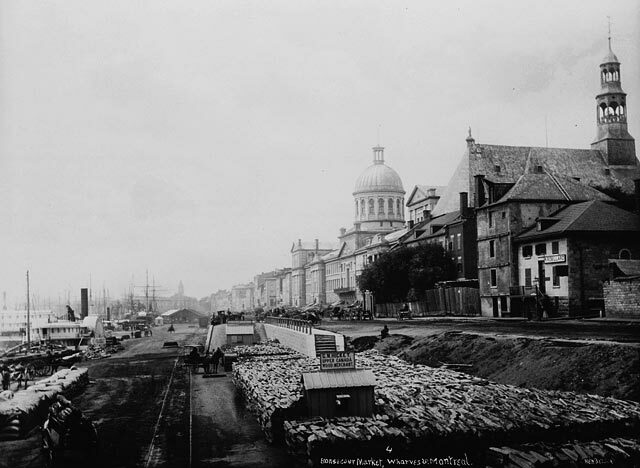 By 1832, almost three-quarters of a mile of docks had been constructed, and by 1854, the navigation channel between Montreal and Quebec City had been successfully dredged to a depth of 16 feet. Other improvements during this time frame include the movement of goods from the port by train, the installation of electric lights, a further dredging of the channel to 25 feet, as well as the introduction of regular steamship service between the Port of Montreal and Liverpool. 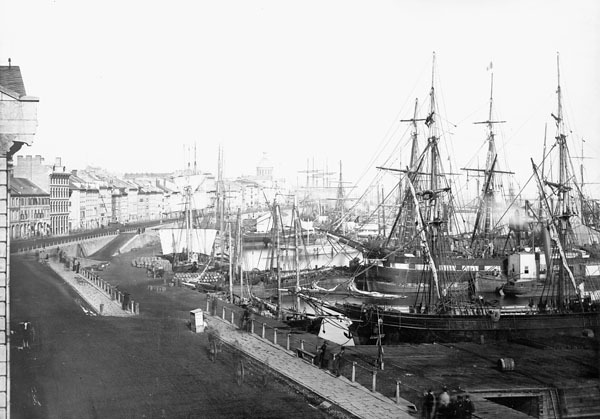 The Port was further enhanced during the early part of the 20th century. The construction of grain elevators began in 1902 and transit sheds in 1908. And by 1910, the deepening of the channel between Montreal and Quebec City to 35 feet was well under way. Because of the harsh Canadian winter, the Port of Montreal was open only seven months of the year up until the early 1960s. However, in 1962, the National Harbours Board (which had become responsible for the Port of Montreal after the demise of the Harbour Commission) introduced icebreakers to the waterway between Montreal and Quebec City. By 1964, the Port of Montreal was open all year long. Library and Archives Canada (LAC) has many items that chronicle the evolution of the Port of Montreal. 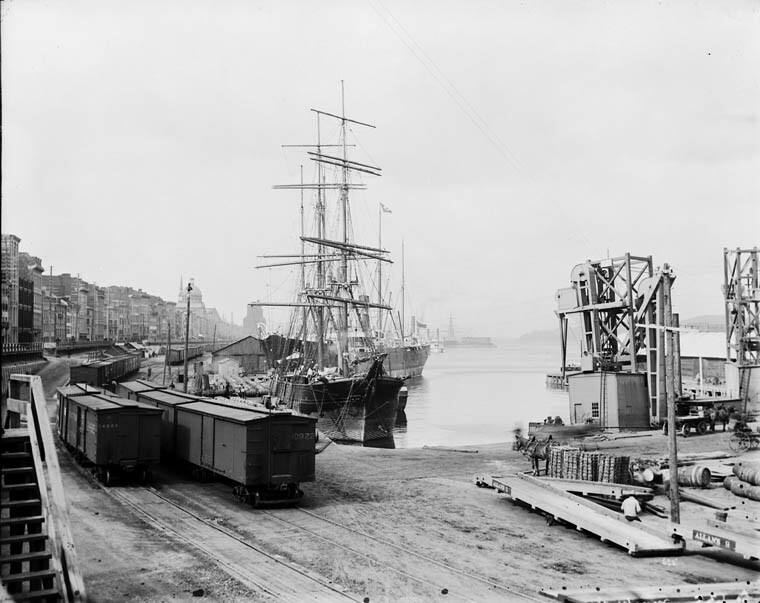 The earliest item is a photograph taken in 1870 by Alexander Henderson depicting the steamship S.S. Quebec docked at Montreal harbour with horse-drawn carts on the shore in the foreground. There are also photographs of the Port by William Topley, Henry Joseph Woodside and Hayward Studios. 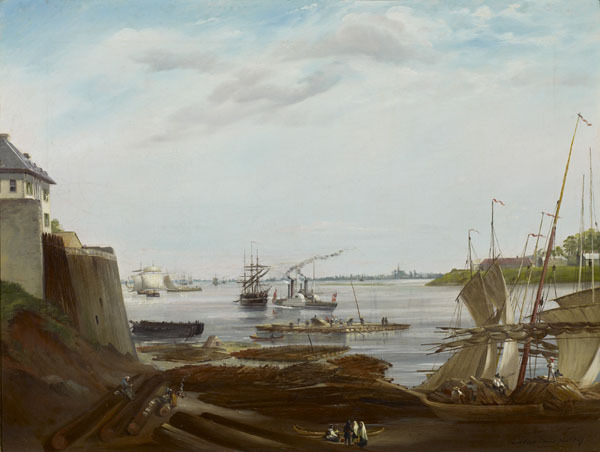 LAC also has a beautiful oil painting completed in 1847 by Andrew Morris depicting the harbour and waterfront of Montreal from the unusual vantage point of Montreal’s shore across from St. Helen’s Island.